Ring in the New Year Looking Fabulous!!! 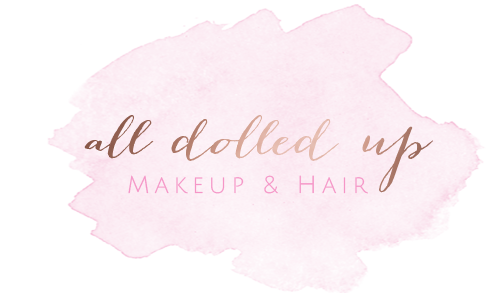 The amazing team at All Dolled Up Studio will be taking appointments all Day on December 31st to make sure we can accommodate all of your exciting New Years Eve party plans. We want you to look unforgettable when you ring in the New Year and because of this we are offering our makeup & hair packages at a discounted rate for New Years Eve bookings only. $60 for a full Makeup application from one of our talented stylists, including false lashes to make sure you look glamorous. All hair appointments are only $60. If you want to make sure you look absolutely jaw dropping when you ring in the New Year than make an appointment for a full Hair & Makeup application for $100. Unsure of what look to do? Just let our experienced team of talented stylists help you choose the perfect look for your rockin’ night in or out! To show you how much we love working with you we are happy to offer you an additional $10 off of your New Years Eve Appointment. CALL NOW TO BOOK YOUR HAIR & MAKEUP APPOINTMENT AND LOOK FLAWLESS ON NEW YEARS EVE! THIS IS ONE OF OUR BUSIEST DAYS OF THE YEAR, SO PLEASE BOOK IN ADVANCE AS SPOTS FILL UP QUICKLY FOR THIS HOLIDAY.